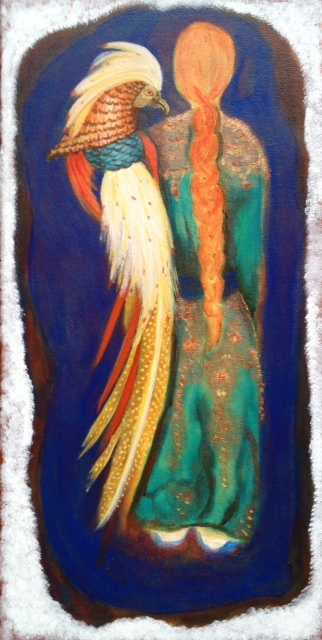 An 12″ x 24″ acrylic painting on gallery wrapped canvas of a golden pheasant being carried on a lady’s arm. This was finished this evening at dusk and was photographed in that lighting. I did this using glazing techniques and is my first piece where I did that. This is my best painting so far in life. I look forward to making more like this.